A 23-year-old woman from Surrey is set to make Clipper Race history after being selected as the youngest-ever professional skipper to lead a team in the 40,000-nautical mile Clipper 2017-18 Round the World Yacht Race. Nicola ‘Nikki’ Henderson from Guildford will have just turned 24 when the race sets sail this August following her birthday on 26 July. She takes over the ‘Youngest Skipper’ title from recent Vendee Globe runner-up Alex Thomson who proved youth was no barrier to success when he won the Clipper 1997-98 Race aged 26. Sailing with family and friends since the age of 13, Nikki has carved a successful sailing career, in both racing and instructing that would rival those twice her age. She has already sailed 38,000 miles during which she has skippered three ARC races across the Atlantic (twice winning the Youngest Skipper Award), the Caribbean 600 – an inshore race circuit, two Cowes Weeks, and sailed over 10,000 miles in offshore deliveries. As an RYA instructor for over three years she has already taught over 200 students and also launched a Sailing and Watersports centre in Denver, Colorado. 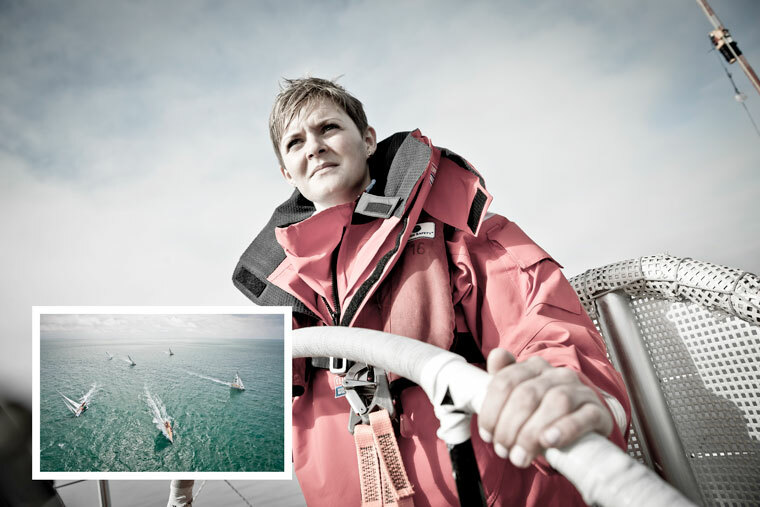 Of the 12 selected Skippers, Nikki is one of two females, the other being Wendy Tuck, 52, from Australia, who also competed in the last Clipper Race. There are eight other British skippers and, on the international side, Gaetan Thomas will be the race’s first Belgian skipper, and Chris Kobusch, is from Germany. One of the world’s toughest endurance challenges, the Clipper Race is 40,000 nautical miles long, taking almost a year to complete. It is the only event that gives amateur sailors the chance to sail around the world, taking on Mother Nature’s harshest conditions. Fewer people have completed the Clipper Race than have climbed Mount Everest. The Clipper Race is the brainchild of Sir Robin Knox-Johnston, the first person to sail solo non-stop around the world in 1968-69. This momentous biennial event has a deep passion for challenge and life-changing adventure at its core. Since the first Clipper Race in 1996, almost 5,000 people have been turned into competent ocean racers. To read about all twelve skippers follow the link http://clipperroundtheworld.com/news/article/meet-the-dynamic-dozen-clipper-201718-race-skippers-announced.